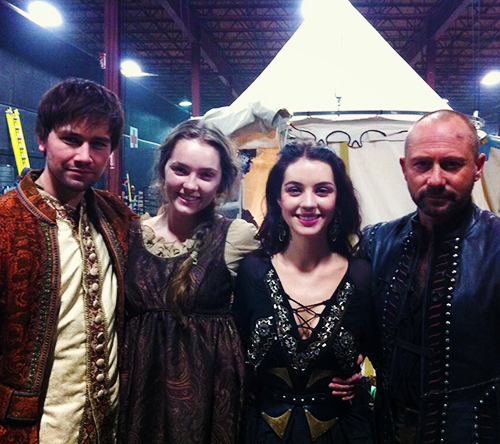 Reign - Set fotos. . Wallpaper and background images in the Reign [TV Show] club tagged: reign adelaide kane torrance coombs amy forsyth bts sebastian mary. 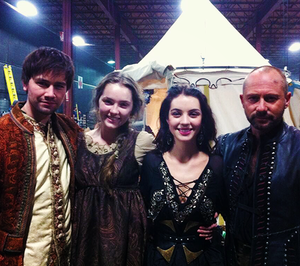 This Reign [TV Show] photo might contain sobreveste, sobretodo, and cota de.